There is no treatment for the fibrosis observed in scleroderma (systemic sclerosis, SSc). Although genome-wide expression profiling has suggested that differences in gene expression patters between non-lesional and lesional skin are minimal, phenotypically these areas of tissue are quite different. In fact, lesional areas of scleroderma patients can be distinguished by the presence of a differentiated form of fibroblast, termed the myofibroblast. This cell type expresses the highly contractile protein α-smooth muscle actin (α-SMA). Fibroblasts isolated from SSc lesions excessively synthesize, adhere to and contract extracellular matrix (ECM) and display activated adhesive signaling pathways. Strategies aimed at blocking myofibroblast differentiation, persistence and activity are therefore likely to be useful in alleviating the fibrosis in scleroderma. Keywords: PDGF, TGFβ, endothelin, rac, PPARγ, Smad1, pericyte, egr-1, CCN2, CTGF, PKCε..
© Andrew Leask; Licensee Bentham Open. Fibrosis has been hypothesized to arise due to a hyperactive tissue repair program. In healthy, uninjured connective tissue, fibroblasts are ‘stress-shielded’ by the surrounding extracellular matrix (ECM) [1 Eckes B, Zigrino P, Kessler D, et al. Fibroblast matrix interactions in wound healing and fibrosis Matrix Biol 2000; 19: 325-., 2 Gabbiani G. The myofibroblast in wound healing and fibrocontractive diseases J Pathol 2003; 200: 500-3.]. Upon tissue damage, fibroblasts, no longer stress-shielded by the ECM, develop progressively stronger attachments to the ECM. These attachments are visualized on cell surfaces in structures called focal adhesions (FAs), which contain clusters of specialized ECM receptors called integrins [1 Eckes B, Zigrino P, Kessler D, et al. Fibroblast matrix interactions in wound healing and fibrosis Matrix Biol 2000; 19: 325-.,2 Gabbiani G. The myofibroblast in wound healing and fibrocontractive diseases J Pathol 2003; 200: 500-3.]. Subsequently, fibroblasts migrate into the wound and, due to stress and growth factors released by immune and blood cells, differentiate into myofibroblasts. Myofibroblasts, characterized by the expression of the highly contractile protein α-smooth muscle actin (α-SMA) which is organized into stress fibers connected to the ECM [2 Gabbiani G. The myofibroblast in wound healing and fibrocontractive diseases J Pathol 2003; 200: 500-3. ], produce and remodel new ECM. Although myofibroblasts disappear from newly formed connective tissue during normal repair, myofibroblasts persist in fibrotic connective tissue, and are considered to be the final effecter cell in all fibrotic conditions including scleroderma [systemic sclerosis, SSc, 3]. Indeed, although genome-wide expression profiling has failed to identify differences in mRNA expression between clinically affected and unaffected (i.e. fibrotic and non-fibrotic) areas of SSc skin [4 Whitfield ML, Finlay DR, Murray JI, et al. Systemic and cell type-specific gene expression patterns in scleroderma skin Proc Natl Acad Sci 2003; 100: 12319-24. ], histological and phenotypic explorations have revealed that clinically affected, but not clinically unaffected, areas of SSc patients are abundantly populated by myofibroblasts [3 Chen Y, Shiwen X, van Beek J, et al. Matrix contraction by dermal fibroblasts requires TGFbeta/ALK5, heparan sulfate containing proteoglycans and MEK/ERK: Insights into pathological scarring in chronic fibrotic disease Am J Pathol 2005; 167: 1699-711.,5 Rajkumar VS, Howell K, Csiszar K, et al. Shared expression of phenotypic markers in systemic sclerosis indicates a convergence of pericytes and fibroblasts to a myofibroblast lineage in fibrosis Arthritis Res Ther 2005; 7: R1113-23.]. Moreover, fibroblasts isolated from clinically affected, but not unaffected, areas of SSc patients are characterized by elevated adhesion to and contraction of ECM. For all these parameters, fibroblasts taken from healthy skin behave similarly to fibroblasts taken from non-lesional areas of SSc patients. The underlying mechanistic difference among clinically affected and unaffected skin (and healthy tissue) is unclear. The myofibroblasts could, in principle, emerge due to differentiation of resident fibroblasts in response to cytokines or due to recruitment of α-SMA expressing cells from elsewhere, notably the vasculature (either pericytes or circulating bone marrow cells, also termed fibrocytes) [6 Hinz B, Phan SH, Thannickal VJ, et al. The myofibroblast: one function, multiple origins Am J Pathol 2007; 170: 1807-6.,7 Abraham DJ, Eckes B, Rajkumar V, Krieg T. New developments in fibroblast and myofibroblast biology: implications for fibrosis and scleroderma Curr Rheumatol Rep 2007; 9: 136-43.]. These concepts have been reviewed elsewhere [6 Hinz B, Phan SH, Thannickal VJ, et al. The myofibroblast: one function, multiple origins Am J Pathol 2007; 170: 1807-6., 7 Abraham DJ, Eckes B, Rajkumar V, Krieg T. New developments in fibroblast and myofibroblast biology: implications for fibrosis and scleroderma Curr Rheumatol Rep 2007; 9: 136-43.]. In this review, I wish to focus on what is known about SSc fibroblasts and how these observations might fit into a conceptual framework of how the myofibroblast might originate in fibrosis. That TGFβ, which consists of three isoforms (TGFβ-1, -2 and -3), is essential for experimentally-induced fibrosis is well-established [8 Leask A. Targeting the TGFb, endothelin-1 and CCN2 axis to combat fibrosis in scleroderma Cell Signal 2008; 20: 1409-., 9 Blom IE, Goldschmeding R, Leask A. Gene regulation of connective tissue growth factor: new targets for antifibrotic therapy? Matrix Biol 2002; 21: 473-82.]. TGFβ target genes include ECM components such as collagen and fibronectin and also key markers and effectors of myofibroblast differentiation including α-SMA and the matricellular protein connective tissue growth factor (CTGF, CCN2). The basic canonical TGFβ signaling pathway involves that ability of active TGFβ ligand to signal through a heteromeric receptor complex consisting of a TGFβ type I and a TGFβ type II receptor. Fibroblasts or epithelial expression of the TGFβ type II receptor has recently shown to be necessary for the development of experimental lung fibrosis [10 Hoyles RK, Derrett-Smith EC, Khan K, et al. An essential role for resident fibroblasts in experimental lung fibrosis is defined by lineage-specific deletion of high-affinity type II transforming growth factor β receptor Am J Respir Crit Care Med 2011; 183: 249-61., 11 Li M, Krishnaveni MS, Li C, et al. Epithelium-specific deletion of TGF-β receptor type II protects mice from bleomycin-induced pulmonary fibrosis J Clin Invest 2011; 121: 277-87.]. In the context of fibroblasts, the TGFβ type I receptor is termed activin linked kinase 5 (ALK5) which phosphorylates Smad2 and 3. Phosphorylated Smad2 and 3 bind to Smad4, and the resultant complex translocates into the nucleus to activate transcription by binding to the sequence CAGA. Smads are relatively weak transcriptional activators, but recruit to the promoter transcriptional cofactors such as p300 [12 Ghosh AK, Varga J. The transcriptional coactivator and acetyltransferase p300 in fibroblast biology and fibrosis J Cell Physiol 2007; 213: 663-71.]. TGFβ has multiple functions such as suppressing the immune system and epithelial proliferation; thus, targeting TGFβ is likely to result in substantial clinical side effects [8 Leask A. Targeting the TGFb, endothelin-1 and CCN2 axis to combat fibrosis in scleroderma Cell Signal 2008; 20: 1409-., 9 Blom IE, Goldschmeding R, Leask A. Gene regulation of connective tissue growth factor: new targets for antifibrotic therapy? Matrix Biol 2002; 21: 473-82.]. A clinical trial evaluating an anti-TGFβ1 antibody was recently conducted for SSc. Results obtained during this trial illustrated that the antibody was ineffective and caused serious adverse effects which may or may not be linked to the use of the antibody [13 Denton CP, Merkel PA, Furst DE, et al. Cat-192 Study Group, Scleroderma Clinical Trials Consortium Recombinant human anti-transforming growth factor beta1 antibody therapy in systemic sclerosis: a multic nter; randomized, placebo-controlled phase I/II trial of CAT-192. Arthritis Rheum 2007, 56: 323-3.]. Moreover, targeting ALK5 using small molecule inhibitors reverses some aspects of lesional dermal scleroderma fibroblasts, but critically does not reduce α-SMA or CCN2 protein overexpression or α-SMA stress fiber formation characteristic of this cell type [3 Chen Y, Shiwen X, van Beek J, et al. Matrix contraction by dermal fibroblasts requires TGFbeta/ALK5, heparan sulfate containing proteoglycans and MEK/ERK: Insights into pathological scarring in chronic fibrotic disease Am J Pathol 2005; 167: 1699-711., 14 Chen Y, Shi-wen X, Eastwood M, et al. Contribution of activin receptor-like kinase 5 (transforming growth factor beta receptor type I) signaling to the fibrotic phenotype of scleroderma fibroblasts Arthritis Rheum 2006; 54: 1309-6.]. In addition, CCN2 overexpression in SSc fibroblasts does not involve Smad3 [15 Holmes A, Abraham DJ, Sa S, Shiwen X, Black CM, Leask A. CTGF and SMADs, maintenance of scleroderma phenotype is independent of SMAD signaling J Biol Chem 2001; 276: 10594-601.]. Finally, SSc fibroblasts overexpress endoglin which suppresses canonical TGFβ signaling [16 Leask A, Abraham DJ, Finlay DR, et al. Dysregulation of transforming growth factor beta signaling in scleroderma: overexpression of endoglin in cutaneous scleroderma fibroblasts Arthritis Rheum 2002; 46: 1857-65.]. Thus canonical TGFβ signaling contributes to some, but not all, of the phenotype of lesional SSc fibroblasts [3 Chen Y, Shiwen X, van Beek J, et al. Matrix contraction by dermal fibroblasts requires TGFbeta/ALK5, heparan sulfate containing proteoglycans and MEK/ERK: Insights into pathological scarring in chronic fibrotic disease Am J Pathol 2005; 167: 1699-711., 14 Chen Y, Shi-wen X, Eastwood M, et al. Contribution of activin receptor-like kinase 5 (transforming growth factor beta receptor type I) signaling to the fibrotic phenotype of scleroderma fibroblasts Arthritis Rheum 2006; 54: 1309-6.]. That said, however, SSc fibroblasts are in an environment of elevated TGFβ (coming from immune cells) and exogenous TGFβ can further activate gene expression in SSc fibroblasts thus, in vivo, canonical TGFβ signaling is likely to be important of the overall fibrotic phenotype in SSc [17 Shi-wen X, Rodrigues-Pascual F, Lamas S, et al. Constitutive ALK5-indepenent JNK activation contributes to endothelin-1 over-expression in pulmonary fibrosis Mol Cell Biol 2006; 26: 5518-27.-20 Corrin B, Butcher D, McAnulty BJ, et al. Immunohistochemical localization of transforming growth factor-beta 1 in the lungs of patients with systemic sclerosis, cryptogenic fibrosing alveolitis and other lung disorders Histopathology 1994; 24: 145-50.]. Given these above concerns, it is likely that it is worthwhile to examine efforts expended the precise mechanism through which TGFβ causes its fibrogenic effects. Indeed, substantial evidence now links non-canonical TGFβ signaling pathways to the fibrosis in SSc. Recent data suggest that TGFβ is able to activate Smad1 through ALK1/endoglin (intriguingly a pathway normally considered to operate principally within the vascular system) and that this pathway contributes to the overexpression of profibrotic genes in SSc by elevating ERK [21 Pannu J, Nakerakanti S, Smith E, Ten DP, Trojanowska M. Transforming growth factor-beta receptor type I-dependent fibrogenic gene program is mediated via activation of Smad1 and ERK1/2 pathways J Biol Chem 2007; 282: 10405-3.]. Endoglin, however, appears to be refractory toward canonical TGFβ signaling via Smad3 [16 Leask A, Abraham DJ, Finlay DR, et al. Dysregulation of transforming growth factor beta signaling in scleroderma: overexpression of endoglin in cutaneous scleroderma fibroblasts Arthritis Rheum 2002; 46: 1857-65.]. Increased levels of endoglin correlated with high levels of pSmad1, collagen, and connective tissue growth factor (CCN2); depletion of endoglin resulted in reduced expression of these markers [22 Morris E, Chrobak I, Bujor A, et al. Endoglin promotes TGF- β/Smad1 signaling in scleroderma fibroblasts J Cell Physiol 2011; 226: 3340-8.]. Moreover, this non-canonical ALK1/endoglin pathway may contribute to the overexpression of endothelin-1 (ET-1) by SSc fibroblasts [22 Morris E, Chrobak I, Bujor A, et al. Endoglin promotes TGF- β/Smad1 signaling in scleroderma fibroblasts J Cell Physiol 2011; 226: 3340-8.]. These results are particularly intriguing as, as described above, myofibroblasts in fibrosis (including in scleroderma) have been postulated to originate from microvascular pericytes; these sets of observations are supportive of this interesting possibility [6 Hinz B, Phan SH, Thannickal VJ, et al. The myofibroblast: one function, multiple origins Am J Pathol 2007; 170: 1807-6., 23 Rajkumar VS, Howell K, Csiszar K, Denton CP, Black CM, Abraham DJ. Shared expression of phenotypic markers in systemic sclerosis indicates a convergence of pericytes and fibroblasts to a myofibroblast lineage in fibrosis Arthritis Res Ther 2005; 7: R1113-23., 24 Liu S, Taghavi R, Leask A. Connective tissue growth factor is induced in bleomycin-induced skin scleroderma J Cell Commun Signal 2010; 4: 25-30.] (please see below). Thus targeting the non-canonical TGFβ ALK1/endoglin/Smad1 pathway may prove in the future to be a viable anti-fibrotic approach in SSc. As discussed above, even though gene expression profiling has identified no clear differences between non lesional and lesional skin, clear phenotypic differences exist between these tissues, in that lesional fibroblasts are myofibroblasts, and, when isolated and cultured, possess α-SMA stress fibers and are highly adhesive and contractile [3 Chen Y, Shiwen X, van Beek J, et al. Matrix contraction by dermal fibroblasts requires TGFbeta/ALK5, heparan sulfate containing proteoglycans and MEK/ERK: Insights into pathological scarring in chronic fibrotic disease Am J Pathol 2005; 167: 1699-711.]. The proteoglycan syndecan 4, a fibronectin coreceptor, appears to be overexpressed selectively in lesional SSc fibroblasts compared to non-lesional SSc fibroblasts and appears to be essential for nucleation of α-SMA stress fibers and hence for ECM contraction [3 Chen Y, Shiwen X, van Beek J, et al. Matrix contraction by dermal fibroblasts requires TGFbeta/ALK5, heparan sulfate containing proteoglycans and MEK/ERK: Insights into pathological scarring in chronic fibrotic disease Am J Pathol 2005; 167: 1699-711., 25 Gopal S, Bober A, Whiteford JR, Multhaupt HA, Yoneda A, Couchman JR. Heparan sulfate chain valency controls syndecan-4 function in cell adhesion J Biol Chem 2010; 285: 14247-58.]. Thus expression of syndecan 4 may be important for the appearance of the myofibroblast phenotype in lesional SSc skin. Syndecan 4 also appears to be important for both TGFβ and mechanical loading to induce ERK activation [3 Chen Y, Shiwen X, van Beek J, et al. Matrix contraction by dermal fibroblasts requires TGFbeta/ALK5, heparan sulfate containing proteoglycans and MEK/ERK: Insights into pathological scarring in chronic fibrotic disease Am J Pathol 2005; 167: 1699-711., 26 Chen Y, Leask A, Abraham DJ, et al. Heparan sulfate-dependent ERK activation contributes to the overexpression of fibrotic proteins and enhanced contraction by scleroderma fibroblasts Arthritis Rheum 2008; 58: 577-85., 27 Bellin RM, Kubicek JD, Frigault MJ, et al. Defining the role of syndecan-4 in mechanotransduction using surface-modification approaches Proc Natl Acad Sci USA 2009; 106: 22102-7.]. Downstream of TGFβ and ERK, transcription factor ets-1 controls the induction of the CCN2 promoter [28 Van Beek JP, Kennedy L, Rockel JS, Bernier SM, Leask A . The induction of CCN2 by TGFbeta1 involves Ets-1 Arthritis Res Ther 2006; 8: R36., 29 Mott GA, Costales JA, Burleigh BA. A soluble factor from Trypanosoma cruzi inhibits transforming growth factor-ß-induced MAP kinase activation and gene expression in dermal fibroblasts PLoS One 2011; 6: e23482-00.]. The transcription factors fli-1 and ets-1 occupy the same sites on promoters; TGFβ stimulation results in replacement of fli-1 on the CCN2 promoter with ets-1 [30 Nakerakanti SS, Kapanadze B, Yamasaki M, Markiewicz M, Trojanowska M. Fli1 and Ets1 have distinct roles in connective tissue growth factor/CCN2 gene regulation and induction of the profibrotic gene program J Biol Chem 2006; 281: 25259-69.]. Indeed, ets-1 seems to generally regulate the expression of profibrotic genes in fibroblasts [31 Hahne JC, Okuducu AF, Fuchs T, Florin A, Wernert N. Identification of ETS-1 target genes in human fibroblasts Int J Oncol 2011; 38: 1645-52.-33 Leask A. Eureka! Ets a target for fibrosis J Cell Commun Signal 2011; 5: 325-6.]. Thus, targeting the syndecan4/ERK/ets-1 pathway may be a good target for anti-fibrotic therapy in SSc [33 Leask A. Eureka! Ets a target for fibrosis J Cell Commun Signal 2011; 5: 325-6.]. Recent studies also implicate the immediate-early response transcription factor early growth response (egr)-1 in the pathogenesis of fibrosis, and, in particular, downstream of TGFβ [34 Bhattacharyya S, Wu M, Fang F, Tourtellotte W, Feghali-Bostwick C, Varga J. Early growth response transcription factors: key mediators of fibrosis and novel targets for anti-fibrotic therapy Matrix Biol 2011; 30: 235-42.]. TGFβ upregulates egr-1 also by an ERK-dependent Smad-independent mechanism and this contributes to the induction of type I collagen in fibroblasts [35 Bhattacharyya S, Chen SJ, Wu M, et al. Smad-Independent Transforming Growth Factor-β Regulation of Early Growth Response-1 and sustained expression in fibrosis Implications for Scleroderma Am J Pathol 2008; 173: 1085-99., 36 Chen SJ, Ning H, Ishida W. The early-immediate gene EGR- 1 is induced by transforming growth factor-beta and mediates stimulation of collagen gene expression J Biol Chem 2006; 281: 21183-97.]. Egr-1 knockout mice are resistant to bleomycin-induced skin scleroderma [37 Wu M, Melichian DS, de la Garza M, et al. Essential roles for early growth response transcription factor Egr-1 in tissue fibrosis and wound healing Am J Pathol 2009; 175(3): 1041-55.]. Intriguingly, genome-wide microarray analysis has revealed that only a minority of TGFβ-responsive genes in fibroblasts are also egr-1 responsive; the “egr-1-regulated gene signature” was most prominent in skin biopsies clustering within the “diffuse-proliferation” intrinsic subsets of SSc biopsies, but some of the genes were also associated with the “inflammatory” subset [38 Bhattacharyya S, Sargent JL, Du P, et al. Egr-1 induces a profibrotic injury/repair gene program associated with systemic sclerosis PLoS One 2011; 6(9): e23082.]. These observations suggest that targeting egr-1 expression or activity might be a novel therapeutic strategy to control fibrosis in SSc. An interesting crosstalk exists between TGFβ and the transcription factor peroxisome proliferator-activated receptor (PPAR)γ, which suppresses TGFβ signaling [39 Ghosh AK, Bhattacharyya S, Lakos G, Chen SJ, Mori Y, Varga J. Disruption of transforming growth factor beta signaling and profibrotic responses in normal skin fibroblasts by peroxisome proliferator-activated receptor gamma Arthritis Rheum 2004; 50(4): 1305-8.]. Recent in vivo evidence has directly linked PPARγ with fibrosis. For example, wild-type mice treated with the PPARγ ligand rosiglitazone are resistant to bleomycin-induced skin fibrosis while fibroblast-specific conditional knockout mice deficient in PPARγ show enhanced susceptibility to bleomycin-induced skin fibrosis [40 Kapoor M, McCann M, Liu S, et al. Loss of peroxisome proliferator-activated receptor gamma in mouse fibroblasts results in increased susceptibility to bleomycin-induced skin fibrosis Arthritis Rheum 2009; 60: 2822-9., 41 Wu M, Melichian DS, Chang E, Warner-Blankenship M, Ghosh AK, Varga J. Rosiglitazone abrogates bleomycin-induced scleroderma and blocks profibrotic responses through peroxisome proliferator-activated receptor-gamma Am J Pathol 2009; 174: 519-33.]. Providing a link with SSc, SSc skin fibroblasts inherently display reduced PPARγ expression, and rosiglitazone reverses the overexpression of fibrogenic markers by SSc skin fibroblasts [42 Shiwen X, Eastwood M, Stratton RJ, Denton CP, Leask A, Abraham DJ. Rosiglitazone alleviates the persistent fibrotic phenotype of lesional skin scleroderma fibroblasts Rheumatology 2010; 49: 259-63.]. Although PPARγ agonists or reduction of PPARγ expression have no effect on protein expression of cellular Smad3 or Smad7, Smad-dependent activity is modified through impacting transcriptional coactivator p300 [41 Wu M, Melichian DS, Chang E, Warner-Blankenship M, Ghosh AK, Varga J. Rosiglitazone abrogates bleomycin-induced scleroderma and blocks profibrotic responses through peroxisome proliferator-activated receptor-gamma Am J Pathol 2009; 174: 519-33., 43 Ghosh AK, Bhattacharyya S, Wei J, et al. Peroxisome proliferator-activated receptor-gamma abrogates Smad-dependent collagen stimulation by targeting the p300 transcriptional coactivator FASEB J 2009; 23: 2968-77.]. (It should be pointed out that the PPARγ agonist rosiglitazone is known to have toxic side effects, for example, increasing the risk of myocardial infarction; nonetheless pioglitazone (an agent in the same thiazolidinedione drug class) has not been reported to have this effect [44 Shah ND, Montori VM, Krumholz HM, Tu K, Alexander GC, Jackevicius CA. Responding to an FDA warning--geographic variation in the use of rosiglitazone N Engl J Med 2010; 363(22): 2081-4.]. Moreover, it is possible that novel PPARγ agonists not in the thiazolidinedione drug class may be generated in the future.) Whether PPARγ agonists may be useful in the future to treat SSc awaits further study. Compared to their non-lesional and healthy counterparts, lesional SSc fibroblasts are characterized by enhanced abilities to adhere to and contract extracellular matrix (ECM) [4 Whitfield ML, Finlay DR, Murray JI, et al. Systemic and cell type-specific gene expression patterns in scleroderma skin Proc Natl Acad Sci 2003; 100: 12319-24.]. Adhesion to ECM itself is sufficient to elicit a fibrogenic mRNA expression profile in fibroblasts [45 Kennedy L, Shi-Wen X, Carter DE, Abraham DJ, Leask A. Fibroblast adhesion results in the induction of a matrix remodeling gene expression program Matrix Biol 2008; 27: 274-81.]. In addition, adhesive signaling is elevated in SSc fibroblasts [46 Jun JB, Kuechle M, Min J, et al. Scleroderma fibroblasts demonstrate enhanced activation of Akt (protein kinase B) in situ J Invest Dermatol 2005; 124: 298-303.-48 Waters CE, Shi-Wen X, Denton CP, Abraham DJ, Pearson JD. Signaling pathways regulating intercellular adhesion molecule 1 expression by endothelin 1: comparison with interleukin-1beta in normal and scleroderma dermal fibroblasts Arthritis Rheum 2006; 54: 649-0.]. Lesional SSc fibroblasts show an enhanced ability to adhere to ECM in a fashion that is blocked by anti-integrinβ1 antibodies [49 Shi-wen X, Renzoni EA, Kennedy L, et al. Endogenous endothelin- 1 signaling contributes to type I collagen and CCN2 overexpression in fibrotic fibroblasts Matrix Biol 2007; 26: 625-32.]. Mice harboring a deletion for integrin β1 in fibroblasts are resistant to bleomycin-induced skin fibrosis and exhibit delayed tissue repair [50 Liu S, Kapoor M, Denton CP, Abraham DJ, Leask A. Loss of b1 integrin in mouse fibroblasts results in resistance to a mouse model of skin scleroderma Arthritis Rheum 2009; 60: 2817-1., 51 Liu S, Xu SW, Blumbach K, et al. Expression of integrin beta1 by fibroblasts is required for tissue repair in vivo J Cell Sci 2010; 123: 3674-82.]. These issues arise due to the inability of integrinβ1 deficient fibroblasts to adhere to and contract ECM [51 Liu S, Xu SW, Blumbach K, et al. Expression of integrin beta1 by fibroblasts is required for tissue repair in vivo J Cell Sci 2010; 123: 3674-82.]. They could also arise due to the fact that integrinβ1-deficient mice are defective in activation of latent TGFβ [51 Liu S, Xu SW, Blumbach K, et al. Expression of integrin beta1 by fibroblasts is required for tissue repair in vivo J Cell Sci 2010; 123: 3674-82.]. Integrins activate latent TGF-β1 through two different mechanisms [52 Wipff PJ, Hinz B. Integrins and the activation of latent transforming growth factor beta1 - an intimate relationship Eur J Cell Biol 2008; 87: 601-15.]. First, integrins appear to serve as a docking point for both latent TGF-β1 and activating proteases, bringing both into close vicinity enhancing liberation of active TGFβ. Second, integrins appear to engage cell traction forces that are directly transmitted to the latent TGFβ complex resulting in TGFβ release or presentation to its receptors. In normal dermal fibroblasts, expression of integrins αvβ5 and αvβ3 is low but is up-regulated in SSc, correlating with transition of fibroblasts into myofibroblasts [53 Asano Y, Ihn H, Yamane K, Jinnin M, Mimura Y, Tamaki K. Increased expression of integrin alpha(v)beta3 contributes to the establishment of autocrine TGF-beta signaling in scleroderma fibroblasts J Immunol 2005; 175: 7708-18., 54 Asano Y, Ihn H, Yamane K, Jinnin M, Mimura Y, Tamaki K. Involvement of alphavbeta5 integrin-mediated activation of latent transforming growth factor beta1 in autocrine transforming growth factor beta signaling in systemic sclerosis fibroblasts Arthritis Rheum 2005; 52: 2897-905.]. Available data indicate that integrins containing the αv subunit bind to and activate latent TGF-β1 through an RGD sequence in the latency associated peptide [55 Asano Y, Ihn H, Yamane K, Jinnin M, Tamaki K. Increased expression of integrin alphavbeta5 induces the myofibroblastic differentiation of dermal fibroblasts Am J Pathol 2006; 168: 499-510., 56 Munger JS, Huang X, Kawakatsu H, et al. The integrin alpha v beta 6 binds and activates latent TGF beta 1: a mechanism for regulating pulmonary inflammation and fibrosis Cell 1999; 96: 319-28.]. In normal fibroblasts, growth factor-induced myofibroblast contraction increases latent TGF-β1 activation in through integrins, in a fashion that is dependent on actin-dependent contraction [51 Liu S, Xu SW, Blumbach K, et al. Expression of integrin beta1 by fibroblasts is required for tissue repair in vivo J Cell Sci 2010; 123: 3674-82., 57 Wipff PJ, Rifkin DB, Meister JJ, Hinz B. Myofibroblast contraction activates TGFβ1 from the extracellular matrix J Cell Biol 2007; 179: 1311-23.]. In addition to its effect on activating latent TGFβ, cell adhesion to ECM also promotes downstream signaling in response to TGFβ involves the clustering of other proteins in addition to integrins to FAs, including paxillin (which provides a platform for FAK), protein kinase C as well as members of the Rho family of GTPases [58 Turner CE. Paxillin and focal adhesion signaling Nat Cell Biol 2000; 2: E231-6., 59 Ishibe S, Joly D, Liu ZX, Cantley LG. Paxillin serves as an ERK-regulated scaffold for coordinating FAK and Rac activation in epithelial morphogenesis Mol Cell 2004; 6: 257-67.]. FAK/src is required for the ability of TGFβ to induce JNK and TAK1 and hence myofibroblast formation and activity [60 Liu S, Shi-wen X, Kennedy L, et al. FAK is required for TGFb-induced JNK phosphorylation in fibroblasts: implications for acquisition of a matrix remodeling phenotype Mol Biol Cell 2007; 18: 2169-78., 61 Shi-wen X, Parapuram SK, Pala D, et al. TGFb-induced a-smooth muscle actin expression and extracellular matrix contraction in fibroblasts requires TAK1 Arthritis Rheum 2009; 60: 234-41.]. SSc lung fibroblasts display constitutive ALK5-independent JNK activation, which contributes to the persistence of the myofibroblast phenotype of this cell type [17 Shi-wen X, Rodrigues-Pascual F, Lamas S, et al. Constitutive ALK5-indepenent JNK activation contributes to endothelin-1 over-expression in pulmonary fibrosis Mol Cell Biol 2006; 26: 5518-27.]. Thus targeting TAK1/JNK may be useful in SSc. Mice harboring a fibroblast-specific deletion for rac1, a member of the Rho GTPase family, are resistant to bleomycin-induced skin fibrosis [62 Liu S, Kapoor M, Shi-wen X, et al. nvestigation of the role of Rac1 in a bleomycin-induced scleroderma model using fibroblast-specific Rac1 knockout mice IArthritis Rheum 2008; 58: 2189-95.]. Rac1-deficient fibroblasts are responsive to TGFβ, however they show reduced generation of reactive oxygen species [63 Liu S, Kapoor M, Leask A. Rac1 expression by fibroblasts is required for tissue repair in vivo Am J Pathol 2009; 174: 1847-56.]. Restoration with hydrogen peroxide alleviates the Rac1-deficient phenotype both in vivo and in vitro [64 Shi-wen X, Liu S, Sonnylal S, Denton CP, Abraham DJ, Leask A. Rac inhibition reverses the phenotype of fibrotic fibroblasts PLOS One 2009; 4: e7438.]. Rac is constitutively activated in lesional SSc fibroblasts and pharmacological inhibition of Rac1 reverses the fibrotic phenotype these cells [64 Shi-wen X, Liu S, Sonnylal S, Denton CP, Abraham DJ, Leask A. Rac inhibition reverses the phenotype of fibrotic fibroblasts PLOS One 2009; 4: e7438.]. In this latter system, Rac1 acts by a PI3 kinase/Akt-dependent mechanism; rac inhibition reduced the enhanced Akt phosphorylation observed in SSc fibroblasts [64 Shi-wen X, Liu S, Sonnylal S, Denton CP, Abraham DJ, Leask A. Rac inhibition reverses the phenotype of fibrotic fibroblasts PLOS One 2009; 4: e7438.]. Similarly, TGFβ-induced lung myofibroblast differentiation involves the PI3kinase/Akt cascade [65 Conte E, Fruciano M, Fagone E, et al. Inhibition of PI3K prevents the proliferation and differentiation of human lung fibroblasts into myofibroblasts: the role of class I P110 isoforms PLoS One 2011; 6: e24663.]. Akt phosphorylation is elevated in SSc fibroblasts [40 Kapoor M, McCann M, Liu S, et al. Loss of peroxisome proliferator-activated receptor gamma in mouse fibroblasts results in increased susceptibility to bleomycin-induced skin fibrosis Arthritis Rheum 2009; 60: 2822-9. ]; expression of the phosphatase PTEN (which dephosphorylates PI3 kinase and hence suppresses Akt phosphorylation) is decreased in SSc fibroblasts [66 Parapuram SK, Shi-wen X, Elliott C, et al. Loss of PTEN expression by dermal fibroblasts causes skin fibrosis J Invest Dermatol 2011; 131: 1996-2003.]. Loss of PTEN is sufficient to result in skin fibrosis in vivo; restoration of PTEN in SSc fibroblasts rescues the profibrotic phenotype of these cells [66 Parapuram SK, Shi-wen X, Elliott C, et al. Loss of PTEN expression by dermal fibroblasts causes skin fibrosis J Invest Dermatol 2011; 131: 1996-2003.]. Of the PKC family members, only protein kinase Cε (PKCε) contains an actin-binding motif [67 Prekeris R, Hernandez RM, Mayhew MW, White MK, Terrian DM. Molecular analysis of the interactions between protein kinase C-epsilon and filamentous actin J Biol Chem 1998; 273: 26790-8.]. PKCε knockout mice and fibroblasts show defective tissue repair and myofibroblast differentiation both basally and in response to TGFβ [68 Leask A, Shi-wen X, Chen Y, et al. Protein kinase C e is required for cutaneous wound closure and myofibroblast formation J Cell Sci 2008; 121: 3459-67.]. PKCε-deficient fibroblasts show reduced rac activation and the baseline defects observed in the cells can be rescued by rac1 overexpression, indicating that PKCε acts upstream of rac1 [68 Leask A, Shi-wen X, Chen Y, et al. Protein kinase C e is required for cutaneous wound closure and myofibroblast formation J Cell Sci 2008; 121: 3459-67.]. It appears that Akt regulates ROS generation by modulating expression of the NADPH oxidase Nox4 and p22(phox) catalytic subunits, which are both required for NADPH oxidase activity [69 Edderkaoui M, Nitsche C, Zheng L, Pandol SJ, Gukovsky I, Gukovskaya AS. NADPH oxidase activation in pancreatic cancer cells is mediated through Akt-dependent up-regulation of p22phox J Biol Chem 2011; 286: 7779-87.]. These data suggest that targeting a PKCε/rac/Akt/PI3 kinase/ROS cascade may useful in SSc. Endothelin has three forms, ET-1, ET-2, and ET-3 [70 Clozel M, Salloukh H. Role of endothelin in fibrosis and antifibrotic potential of bosentan Ann Med 2005; 37: 2-12.] that signal through the ETA and ETB 7-transmembrane G-protein-coupled receptors [70 Clozel M, Salloukh H. Role of endothelin in fibrosis and antifibrotic potential of bosentan Ann Med 2005; 37: 2-12.]. Similar to TGFβ, ET-1 can induce ECM production in fibroblasts, through MEK/ERK and the ETA and ETB receptors, whereas ET-1 induces myofibroblast formation, migration and ECM contraction through ETA and Akt/rac [17 Shi-wen X, Rodrigues-Pascual F, Lamas S, et al. Constitutive ALK5-indepenent JNK activation contributes to endothelin-1 over-expression in pulmonary fibrosis Mol Cell Biol 2006; 26: 5518-27., 71 Shi-Wen X, Chen Y, Denton CP, et al. Endothelin-1 promotes myofibroblast induction through the ETA receptor via a rac/phosphoinositide 3-kinase/Akt-dependent pathway and is essential for the enhanced contractile phenotype of fibrotic fibroblasts Mol Biol Cell 2004; 15: 2707-19.]. TGFβ induces ET-1 through JNK, and ET-1 is a downstream mediator of TGFβ’s fibrogenic responses [17 Shi-wen X, Rodrigues-Pascual F, Lamas S, et al. Constitutive ALK5-indepenent JNK activation contributes to endothelin-1 over-expression in pulmonary fibrosis Mol Cell Biol 2006; 26: 5518-27., 72 Shi-wen X, Kennedy L, Renzoni E, et al. Endothelin-1 is a downstream mediator of TGFb in fibroblasts Arthritis Rheum 2007; 56: 4189-94.]. ET overproduction in SSc lung fibroblasts is TAK1/JNK-dependent but ALK5-independent, and contributes to the persistent myofibroblast phenotype of SSc lung fibroblasts [17 Shi-wen X, Rodrigues-Pascual F, Lamas S, et al. Constitutive ALK5-indepenent JNK activation contributes to endothelin-1 over-expression in pulmonary fibrosis Mol Cell Biol 2006; 26: 5518-27.]. TGFβ works together with ET-1 to promote myofibroblast differentiation [73 Shephard P, Hinz B, Smola-Hess S, Meister JJ, Krieg T, Smola H. Dissecting the roles of endothelin, TGF-beta and GM-CSF on myofibroblast differentiation by keratinocytes Thromb Haemost 2004; 92: 262-74.]. Moreover, gingival fibroblasts (gingivae do not scar) show a less potent response than dermal fibroblasts to a 6 hour treatment with TGFβ (in terms of CCN2, type I collagen and α-SMA mRNA expression) [74 Guo F, Carter DE, Leask A. Mechanical tension increases CCN2/CTGF expression and proliferation in gingival fibroblasts via a TGFβ-dependent mechanism PLoS One 2011; 6: e19756.]. Gingival fibroblasts do not express ET-1; adding back ET-1 rescues this phenomenon [74 Guo F, Carter DE, Leask A. Mechanical tension increases CCN2/CTGF expression and proliferation in gingival fibroblasts via a TGFβ-dependent mechanism PLoS One 2011; 6: e19756.]. As discussed above, in vivo, SSc fibroblasts are in an environment of excess TGFβ, so that SSc fibroblasts overexpress ET-1 constitutively and that TGFβ and ET-1 synergize in terms of their fibrogenic activity is likely to be of clinical relevance. That SSc fibroblasts are inherently different from normal fibroblasts is emphasized by the fact that they maintain their fibrotic characteristics in culture, show activated adhesive and contractile properties, and overexpress key fibrotic markers independently of canonical TGFβ signaling. Based on all these observations, it is plausible that SSc fibroblasts, due to ET-1 overexpression, are inherently primed to respond excessively to pro-fibrotic signaling emanating from cytokines produced in response to tissue injury or inflammation. Clinical experiments have suggested that ET receptor antagonists may be useful at reversing skin fibrosis in SSc and IL-2, IL-6, IL-8 and IFN- γ levels in SSc patients but the results have been less positive when SSc-related interstitial lung disease has been examined [75 Bellisai F, Morozzi G, Scaccia F, et al. Evaluation of the effect of Bosentan treatment on proinflammatory cytokine serum levels in patients affected by Systemic Sclerosis Int J Immunopathol Pharmacol 2011; 24: 261-4.-77 Seibold JR, Denton CP, Furst DE, et al. Randomized, prospective, placebo-controlled trial of bosentan in interstitial lung disease secondary to systemic sclerosis Arthritis Rheum 2010; 62: 2101-8.]. PDGF, a family of homo- or hetero-dimeric growth factors including PDGF-AA, PDGF-AB, PDGF-BB, PDGF-CC, and PDGF-DD, binds two different PDGF receptors, α and β [78 Bonner JC. Regulation of PDGF and its receptors in fibrotic diseases Cytokine Growth Factor Rev 2004; 15: 255-73., 79 Heldin CH, Westermark B. Mechanism of action and in vivo role of platelet-derived growth factor Physiol Rev 1999; 79: 1283-316.] PDGF stimulates migration and proliferation of neutrophils, macrophages, fibroblasts and smooth muscle cells as well as granulation tissue formation [78 Bonner JC. Regulation of PDGF and its receptors in fibrotic diseases Cytokine Growth Factor Rev 2004; 15: 255-73., 79 Heldin CH, Westermark B. Mechanism of action and in vivo role of platelet-derived growth factor Physiol Rev 1999; 79: 1283-316.]. PGDF, like TGFβ and ET-1, stimulates fibroblasts to contract floating collagen gel matrices, express collagen and migrate [80 Rhee S, Grinnell F. P21-activated kinase 1: convergence point in PDGF- and LPA-stimulated collagen matrix contraction by human fibroblasts J Cell Biol 2006; 172: 423-32., 81 Jinnin M, Ihn H, Mimura Y, Asano Y, Yamane K, Tamaki K. Regulation of fibrogenic/fibrolytic genes by platelet-derived growth factor C, a novel growth factor, in human dermal fibroblasts J Cell Physiol 2005; 202: 510-7. ], and, in vivo, for the expression of α-SMA (in the liver) and pericytes to differentiate into myofibroblasts (in the kidney) [82 Borkham-Kamphorst E, Herrmann J, Stoll D, Treptau J, Gressner AM, Weiskirchen R. Dominant-negative soluble PDGF-beta receptor inhibits hepatic stellate cell activation and attenuates liver fibrosis Lab Invest 2004; 84: 766-7., 83 Chen YT, Chang FC, Wu CF, et al. Platelet-derived growth factor receptor signaling activates pericyte-myofibroblast transition in obstructive and post-ischemic kidney fibrosis Kidney Int 2011; 80: 1170-81.]. Evidence is accumulating that SSc myofibroblasts may arise through the recruitment of microvascular pericytes. PDGFβ receptors are expressed by activated microvascular pericytes in patients with early SSc, but not in those with late-stage scleroderma [84 Rajkumar VS, Sundberg C, Abraham DJ, Rubin K, Black CM. Activation of microvascular pericytes in autoimmune Raynaud's phenomenon and systemic sclerosis Arthritis Rheum 1999; 42: 930-41.]. Although histological examination of markers is inherently imprecise method of detecting origin, only a subset (~30%) of myofibroblasts in cutaneous mouse wounds are positive for the pericyte marker NG2, but the overwhelming majority of cells in SSc and in bleomycin-induced skin fibrosis are NG2-positive [24 Liu S, Taghavi R, Leask A. Connective tissue growth factor is induced in bleomycin-induced skin scleroderma J Cell Commun Signal 2010; 4: 25-30., 85 Kapoor M, Liu S, Huh K, Parapuram S, Kennedy L, Leask A. Connective tissue growth factor promoter activity in normal and wounded skin Fibrogenesis Tissue Repair 2008; 1: 3.]. Imatinib mesylate, which inhibits the platelet-derived growth factor receptor (PDGFR)-beta inhibitor and c-abl, delays wound closure, concomitant with reduced expression of collagen type I and numbers of myofibroblasts [86 Rajkumar VS, Shiwen X, Bostrom M, et al. Platelet-derived growth factor-beta receptor activation is essential for fibroblast and pericyte recruitment during cutaneous wound healing Am J Pathol 2006; 169: 2254-65.]. However, in vitro, imatinib mesylate did not prevent serum-induced contraction of collagen gels but potently inhibited fibroblast proliferation [86 Rajkumar VS, Shiwen X, Bostrom M, et al. Platelet-derived growth factor-beta receptor activation is essential for fibroblast and pericyte recruitment during cutaneous wound healing Am J Pathol 2006; 169: 2254-65.]. In a mouse model of bleomycin-induced dermal fibrosis, dual inhibition of c-abl and PDGF receptor signaling bdasatinib and nilotinib potently reduced the dermal thickness, the number of myofibroblasts, and the collagen content of the skin in a dose-dependent manner at well-tolerated doses [87 Akhmetshina A, Dees C, Pileckyte M, et al. Dual inhibition of c-abl and PDGF receptor signaling by dasatinib and nilotinib for the treatment of dermal fibrosis FASEB J 2008; 22: 2214-.]. Moreover, it has been shown that TGFβ-induces fibrosis in vivo via c-abl [88 Daniels CE, Wilkes MC, Edens M, et al. Imatinib mesylate inhibits the profibrogenic activity of TGF-beta and prevents bleomycin-mediated lung fibrosis J Clin Invest 2004; 114: 1308-6., 89 Wang S, Wilkes MC, Leof EB, Hirschberg R. Imatinib mesylate blocks a non-Smad TGF-beta pathway and reduces renal fibrogenesis in vivo FASEB J 2005; 19: 1-11. ], in a fashion that appears to involve protein kinase c delta [90 Li Z, Jimenez SA. Protein kinase Cδ and c-Abl kinase are required for transforming growth factor β induction of endothelialmesenchymal transition in vitro Arthritis Rheum 2011; 63: 2473-83.]. Collectively, these data suggest that imatinib mesylate may act, at least in part, by blocking pericyte recruitment to SSc skin. In an open label trial, adverse events were common, but improvements in skin thickening were seen [91 Spiera RF, Gordon JK, Mersten JN, et al. Imatinib mesylate (Gleevec) in the treatment of diffuse cutaneous systemic sclerosis: results of a 1-year, phase IIa, single-arm, open-label clinical trial Ann Rheum Dis 2011; 70: 1003-9.]. However, in another trial, imatinib was poorly tolerated which could limit its application in SSc [92 Pope J, McBain D, Petrlich L, et al. Imatinib in active diffuse systemic sclerosis: a single site trial Arthritis Rheum 2011; 63: 3547-51.]. Thus it remains debatable as to whether imatinib mesylate might be a viable option for the treatment of SSc, clinically. CCN2, an excellent surrogate marker for the severity of fibrosis in SSc [93 Dziadzio M, Usinger W, Leask A. N-terminal connective tissue growth factor is a marker of the fibrotic phenotype in scleroderma QJM 2005; 98: 485-92.-96 Shi-wen X, Pennington D, Holmes A, et al. Autocrine overexpression of CTGF maintains fibrosis: RDA analysis of fibrosis genes in systemic sclerosis Exp Cell Res 2000; 259: 213-4. ], was initially considered to be a classical growth factor but now has been recognized to be a matricellular protein (of the CCN family) that acts through a variety of integrins and HSPGs or trkA to promote cell adhesion and adhesive signaling in response to extracellular ligands [97 Leask A, Abraham DJ. All in the CCN family J Cell Sci 2006; 119: 4803-10.-99 Wahab NA, Weston BS, Mason RM. Connective tissue growth factor CCN2 interacts with and activates the tyrosine kinase receptor TrkA J Am Soc Nephrol 2005; 16: 340-51.]. CCN2 is induced by both TGFβ and ET-1 [15 Holmes A, Abraham DJ, Sa S, Shiwen X, Black CM, Leask A. CTGF and SMADs, maintenance of scleroderma phenotype is independent of SMAD signaling J Biol Chem 2001; 276: 10594-601., 100 Leask A, Holmes A, Black CM, Abraham DJ. Connective tissue growth factor gene regulation. Requirements for its induction by transforming growth factor-beta 2 in fibroblasts J Biol Chem 2003; 278: 13008-5., 101 Xu SW, Howat SL, Renzoni EA, et al. Endothelin-1 induces expression of matrix-associated genes in lung fibroblasts through MEK/ERK J Biol Chem 2004; 279: 23098-103. ], and thus may impact the adhesive signaling ability of these cytokines. Indeed, CCN2 promotes the adhesive signaling of TGFβ in fibroblasts [102 Shi-wen X, Stanton L, Kennedy L, et al. CCN2 is necessary for adhesive responses to TGFß1 in embryonic fibroblasts J Biol Chem 2006; 281: 10715-26.]. CCN2, independent of canonical TGFβ pathways, is overexpressed in SSc fibroblasts through an ET-1/ the noncanonical Smad1 pathway/Sp1-dependent mechanism [14 Chen Y, Shi-wen X, Eastwood M, et al. Contribution of activin receptor-like kinase 5 (transforming growth factor beta receptor type I) signaling to the fibrotic phenotype of scleroderma fibroblasts Arthritis Rheum 2006; 54: 1309-6., 21 Pannu J, Nakerakanti S, Smith E, Ten DP, Trojanowska M. Transforming growth factor-beta receptor type I-dependent fibrogenic gene program is mediated via activation of Smad1 and ERK1/2 pathways J Biol Chem 2007; 282: 10405-3., 103 Holmes A, Abraham DJ, Chen Y, et al. Constitutive connective tissue growth factor expression in scleroderma fibroblasts is dependent on Sp1 J Biol Chem 2003; 278: 41728-33.]. Blocking CCN2 with neutralizing anti-CCN2 antibody or siRNA reduces aspects of bleomycin-induced lung fibrosis including collagen and α-SMA expression [104 Ponticos M, Holmes AM, Shiwen X, et al. Pivotal role of connective tissue growth factor in lung fibrosis: MAPK-dependent transcriptional activation of type I collagen Arthritis Rheum 2009; 60: 2142-55.]. Moreover, fibroblast-specific CCN2 knockout mice are resistant to bleomycin-induced skin fibrosis [105 Liu S, Shi-wen X, Abraham DJ, Leask A. CCN2 is required for bleomycin-induced skin fibrosis in mice Arthritis Rheum 2011; 63: 239-46.]. CCN2 is not considered to cause fibrosis directly, unless massively overexpressed [106 Sonnylal S, Shi-Wen X, Leoni P, et al. Selective expression of connective tissue growth factor in fibroblasts in vivo promotes systemic tissue fibrosis Arthritis Rheum 2010; 62: 1523-32. ], but rather appears to create an environment favorable for fibrogenic stimuli to act [107 Bonniaud P, Martin G, Margetts PJ, et al. Connective tissue growth factor is crucial to inducing a profibrotic environment in "fibrosis-resistant" BALB/c mouse lungs Am J Respir Cell Mol Biol 2004; 31: 510-6.]. Rather than being a downstream mediator of TGFβ activity, CCN2 appears to acts as a cofactor with TGFβ to induce fibrogenic activities both in vitro and in vivo [97 Leask A, Abraham DJ. All in the CCN family J Cell Sci 2006; 119: 4803-10., 102 Shi-wen X, Stanton L, Kennedy L, et al. CCN2 is necessary for adhesive responses to TGFß1 in embryonic fibroblasts J Biol Chem 2006; 281: 10715-26., 108 Mori T, Kawara S, Shinozaki M, et al. Role and interaction of connective tissue growth factor with transforming growth factorbeta in persistent fibrosis: A mouse fibrosis model J Cell Physiol 1999; 181: 153-9.]. In cells expressing CCN2 constitutively, CCN2 appears to be required for TGFβ to maximally induce type I collagen and α-SMA [102 Shi-wen X, Stanton L, Kennedy L, et al. CCN2 is necessary for adhesive responses to TGFß1 in embryonic fibroblasts J Biol Chem 2006; 281: 10715-26.]. On the other hand, in cells CCN2 not making constitutively, CCN2 is not needed for this process [105 Liu S, Shi-wen X, Abraham DJ, Leask A. CCN2 is required for bleomycin-induced skin fibrosis in mice Arthritis Rheum 2011; 63: 239-46., 109 Mori Y, Hinchcliff M, Wu M, Warner-Blankenship M, M Lyons K, Varga J. Connective tissue growth factor/CCN2-null mouse embryonic fibroblasts retain intact transforming growth factor-beta responsiveness Exp Cell Res 2008; 314: 1094-4.]. CCN2 may perform its actions by increasing the bioavailabilty of TGFβ to its receptors at extremely low concentrations of TGFβ [110 Abreu JG, Ketpura NI, Reversade B, De Robertis EM. Connective-tissue growth factor (CTGF) modulates cell signalling by BMP and TGF-beta Nat Cell Biol 2002; 4: 599-604. ], or by activating the non-canonical Smad1 pathway [111 Nakerakanti SS, Bujor AM, Trojanowska M. CCN2 is required for the TGF-β induced activation of Smad1-Erk1/2 signaling network PLoS One 2011; 6: e21911.]. One of the great conundrums that have been revealed by gene expression profiling and by functional analysis of SSc skin and fibroblasts is that SSc fibroblasts taken from clinically unaffected skin already overexpress profibrotic markers such as CCN2 yet, unlike fibroblasts in clinically affected (lesional) skin are not highly contractile myofibroblasts [3 Chen Y, Shiwen X, van Beek J, et al. Matrix contraction by dermal fibroblasts requires TGFbeta/ALK5, heparan sulfate containing proteoglycans and MEK/ERK: Insights into pathological scarring in chronic fibrotic disease Am J Pathol 2005; 167: 1699-711.,4 Whitfield ML, Finlay DR, Murray JI, et al. Systemic and cell type-specific gene expression patterns in scleroderma skin Proc Natl Acad Sci 2003; 100: 12319-24.]. Collectively, these observations suggest that the expression of CCN2 in non-lesional skin fibroblasts may indicate that these cells are inherently primed to excessively respond to profibrotic stimuli (such as TGFβ) hence resulting in clinically defined scar tissue. Although clinical studies targeting individual cytokines in SSc have been inconclusive, a combinatorial approach may be warranted. Studies examining the signaling mechanisms underlying the action of these cytokines on fibroblasts have revealed that common pathways seem to be used utilized. Blocking these downstream pathways (e.g. c-Abl, TAK, FAK, PPARγ, integrins, Rac/Akt/PKCÓ) which appear to integrate signaling from growth factors and appear to be essential for the SSc myofibroblast phenotype might prove to be more fruitful. CCN2 may be a good antifibrotic target as it appears to be downstream of all fibrogenic pathways. AL is supported by the Canadian Institute of Health Research and the Canadian Foundation for Innovation, is a member of the Canadian Scleroderma Research Group New Emerging Team. Eckes B, Zigrino P, Kessler D, et al. Fibroblast matrix interactions in wound healing and fibrosis Matrix Biol 2000; 19: 325-. Gabbiani G. The myofibroblast in wound healing and fibrocontractive diseases J Pathol 2003; 200: 500-3. Chen Y, Shiwen X, van Beek J, et al. Matrix contraction by dermal fibroblasts requires TGFbeta/ALK5, heparan sulfate containing proteoglycans and MEK/ERK: Insights into pathological scarring in chronic fibrotic disease Am J Pathol 2005; 167: 1699-711. Whitfield ML, Finlay DR, Murray JI, et al. Systemic and cell type-specific gene expression patterns in scleroderma skin Proc Natl Acad Sci 2003; 100: 12319-24. Rajkumar VS, Howell K, Csiszar K, et al. Shared expression of phenotypic markers in systemic sclerosis indicates a convergence of pericytes and fibroblasts to a myofibroblast lineage in fibrosis Arthritis Res Ther 2005; 7: R1113-23. Hinz B, Phan SH, Thannickal VJ, et al. The myofibroblast: one function, multiple origins Am J Pathol 2007; 170: 1807-6. Abraham DJ, Eckes B, Rajkumar V, Krieg T. New developments in fibroblast and myofibroblast biology: implications for fibrosis and scleroderma Curr Rheumatol Rep 2007; 9: 136-43. Leask A. Targeting the TGFb, endothelin-1 and CCN2 axis to combat fibrosis in scleroderma Cell Signal 2008; 20: 1409-. Blom IE, Goldschmeding R, Leask A. Gene regulation of connective tissue growth factor: new targets for antifibrotic therapy? Matrix Biol 2002; 21: 473-82. Hoyles RK, Derrett-Smith EC, Khan K, et al. An essential role for resident fibroblasts in experimental lung fibrosis is defined by lineage-specific deletion of high-affinity type II transforming growth factor β receptor Am J Respir Crit Care Med 2011; 183: 249-61. Li M, Krishnaveni MS, Li C, et al. Epithelium-specific deletion of TGF-β receptor type II protects mice from bleomycin-induced pulmonary fibrosis J Clin Invest 2011; 121: 277-87. Ghosh AK, Varga J. The transcriptional coactivator and acetyltransferase p300 in fibroblast biology and fibrosis J Cell Physiol 2007; 213: 663-71. Denton CP, Merkel PA, Furst DE, et al. Cat-192 Study Group, Scleroderma Clinical Trials Consortium Recombinant human anti-transforming growth factor beta1 antibody therapy in systemic sclerosis: a multic nter; randomized, placebo-controlled phase I/II trial of CAT-192. Arthritis Rheum 2007, 56: 323-3. Chen Y, Shi-wen X, Eastwood M, et al. Contribution of activin receptor-like kinase 5 (transforming growth factor beta receptor type I) signaling to the fibrotic phenotype of scleroderma fibroblasts Arthritis Rheum 2006; 54: 1309-6. Holmes A, Abraham DJ, Sa S, Shiwen X, Black CM, Leask A. CTGF and SMADs, maintenance of scleroderma phenotype is independent of SMAD signaling J Biol Chem 2001; 276: 10594-601. Leask A, Abraham DJ, Finlay DR, et al. Dysregulation of transforming growth factor beta signaling in scleroderma: overexpression of endoglin in cutaneous scleroderma fibroblasts Arthritis Rheum 2002; 46: 1857-65. Shi-wen X, Rodrigues-Pascual F, Lamas S, et al. Constitutive ALK5-indepenent JNK activation contributes to endothelin-1 over-expression in pulmonary fibrosis Mol Cell Biol 2006; 26: 5518-27. Higley H, Persichitte K, Chu S, Waegell W, Vancheeswaran R, Black C. Immunocytochemical localization and serologic detection of transforming growth factor beta 1. Association with type I procollagen and inflammatory cell markers in diffuse and limited systemic sclerosis, morphea, and Raynaud's phenomenon Arthritis Rheum 1994; 37: 278-88. Querfeld C, Eckes B, Huerkamp C, Krieg T, Sollberg S. Expression of TGF-beta 1, -beta 2 and -beta 3 in localized and systemic scleroderma J Dermatol Sci 1999; 21: 13-22. Corrin B, Butcher D, McAnulty BJ, et al. Immunohistochemical localization of transforming growth factor-beta 1 in the lungs of patients with systemic sclerosis, cryptogenic fibrosing alveolitis and other lung disorders Histopathology 1994; 24: 145-50. Pannu J, Nakerakanti S, Smith E, Ten DP, Trojanowska M. Transforming growth factor-beta receptor type I-dependent fibrogenic gene program is mediated via activation of Smad1 and ERK1/2 pathways J Biol Chem 2007; 282: 10405-3. Morris E, Chrobak I, Bujor A, et al. Endoglin promotes TGF- β/Smad1 signaling in scleroderma fibroblasts J Cell Physiol 2011; 226: 3340-8. Rajkumar VS, Howell K, Csiszar K, Denton CP, Black CM, Abraham DJ. Shared expression of phenotypic markers in systemic sclerosis indicates a convergence of pericytes and fibroblasts to a myofibroblast lineage in fibrosis Arthritis Res Ther 2005; 7: R1113-23. Liu S, Taghavi R, Leask A. Connective tissue growth factor is induced in bleomycin-induced skin scleroderma J Cell Commun Signal 2010; 4: 25-30. Gopal S, Bober A, Whiteford JR, Multhaupt HA, Yoneda A, Couchman JR. Heparan sulfate chain valency controls syndecan-4 function in cell adhesion J Biol Chem 2010; 285: 14247-58. Chen Y, Leask A, Abraham DJ, et al. Heparan sulfate-dependent ERK activation contributes to the overexpression of fibrotic proteins and enhanced contraction by scleroderma fibroblasts Arthritis Rheum 2008; 58: 577-85. Bellin RM, Kubicek JD, Frigault MJ, et al. Defining the role of syndecan-4 in mechanotransduction using surface-modification approaches Proc Natl Acad Sci USA 2009; 106: 22102-7. Van Beek JP, Kennedy L, Rockel JS, Bernier SM, Leask A . The induction of CCN2 by TGFbeta1 involves Ets-1 Arthritis Res Ther 2006; 8: R36. Mott GA, Costales JA, Burleigh BA. A soluble factor from Trypanosoma cruzi inhibits transforming growth factor-ß-induced MAP kinase activation and gene expression in dermal fibroblasts PLoS One 2011; 6: e23482-00. Nakerakanti SS, Kapanadze B, Yamasaki M, Markiewicz M, Trojanowska M. Fli1 and Ets1 have distinct roles in connective tissue growth factor/CCN2 gene regulation and induction of the profibrotic gene program J Biol Chem 2006; 281: 25259-69. Hahne JC, Okuducu AF, Fuchs T, Florin A, Wernert N. Identification of ETS-1 target genes in human fibroblasts Int J Oncol 2011; 38: 1645-52. Czuwara-Ladykowska J, Shirasaki F, Jackers P, Watson DK, Trojanowska M. Fli-1 inhibits collagen type I production in dermal fibroblasts via an Sp1-dependent pathway J Biol Chem 2001; 276: 20839-48. Leask A. Eureka! Ets a target for fibrosis J Cell Commun Signal 2011; 5: 325-6. Bhattacharyya S, Wu M, Fang F, Tourtellotte W, Feghali-Bostwick C, Varga J. Early growth response transcription factors: key mediators of fibrosis and novel targets for anti-fibrotic therapy Matrix Biol 2011; 30: 235-42. Bhattacharyya S, Chen SJ, Wu M, et al. Smad-Independent Transforming Growth Factor-β Regulation of Early Growth Response-1 and sustained expression in fibrosis Implications for Scleroderma Am J Pathol 2008; 173: 1085-99. Chen SJ, Ning H, Ishida W. The early-immediate gene EGR- 1 is induced by transforming growth factor-beta and mediates stimulation of collagen gene expression J Biol Chem 2006; 281: 21183-97. Wu M, Melichian DS, de la Garza M, et al. Essential roles for early growth response transcription factor Egr-1 in tissue fibrosis and wound healing Am J Pathol 2009; 175(3): 1041-55. Bhattacharyya S, Sargent JL, Du P, et al. Egr-1 induces a profibrotic injury/repair gene program associated with systemic sclerosis PLoS One 2011; 6(9): e23082. Ghosh AK, Bhattacharyya S, Lakos G, Chen SJ, Mori Y, Varga J. Disruption of transforming growth factor beta signaling and profibrotic responses in normal skin fibroblasts by peroxisome proliferator-activated receptor gamma Arthritis Rheum 2004; 50(4): 1305-8. Kapoor M, McCann M, Liu S, et al. Loss of peroxisome proliferator-activated receptor gamma in mouse fibroblasts results in increased susceptibility to bleomycin-induced skin fibrosis Arthritis Rheum 2009; 60: 2822-9. Wu M, Melichian DS, Chang E, Warner-Blankenship M, Ghosh AK, Varga J. Rosiglitazone abrogates bleomycin-induced scleroderma and blocks profibrotic responses through peroxisome proliferator-activated receptor-gamma Am J Pathol 2009; 174: 519-33. Shiwen X, Eastwood M, Stratton RJ, Denton CP, Leask A, Abraham DJ. Rosiglitazone alleviates the persistent fibrotic phenotype of lesional skin scleroderma fibroblasts Rheumatology 2010; 49: 259-63. Ghosh AK, Bhattacharyya S, Wei J, et al. Peroxisome proliferator-activated receptor-gamma abrogates Smad-dependent collagen stimulation by targeting the p300 transcriptional coactivator FASEB J 2009; 23: 2968-77. Shah ND, Montori VM, Krumholz HM, Tu K, Alexander GC, Jackevicius CA. Responding to an FDA warning--geographic variation in the use of rosiglitazone N Engl J Med 2010; 363(22): 2081-4. Kennedy L, Shi-Wen X, Carter DE, Abraham DJ, Leask A. Fibroblast adhesion results in the induction of a matrix remodeling gene expression program Matrix Biol 2008; 27: 274-81. Jun JB, Kuechle M, Min J, et al. Scleroderma fibroblasts demonstrate enhanced activation of Akt (protein kinase B) in situ J Invest Dermatol 2005; 124: 298-303. Mimura Y, Ihn H, Jinnin M, Asano Y, Yamane K, Tamaki K. Constitutive scleroderma fibroblasts J Invest Dermatol 2005; 124: 886-92. Waters CE, Shi-Wen X, Denton CP, Abraham DJ, Pearson JD. Signaling pathways regulating intercellular adhesion molecule 1 expression by endothelin 1: comparison with interleukin-1beta in normal and scleroderma dermal fibroblasts Arthritis Rheum 2006; 54: 649-0. Shi-wen X, Renzoni EA, Kennedy L, et al. Endogenous endothelin- 1 signaling contributes to type I collagen and CCN2 overexpression in fibrotic fibroblasts Matrix Biol 2007; 26: 625-32. Liu S, Kapoor M, Denton CP, Abraham DJ, Leask A. Loss of b1 integrin in mouse fibroblasts results in resistance to a mouse model of skin scleroderma Arthritis Rheum 2009; 60: 2817-1. Liu S, Xu SW, Blumbach K, et al. Expression of integrin beta1 by fibroblasts is required for tissue repair in vivo J Cell Sci 2010; 123: 3674-82. Wipff PJ, Hinz B. Integrins and the activation of latent transforming growth factor beta1 - an intimate relationship Eur J Cell Biol 2008; 87: 601-15. Asano Y, Ihn H, Yamane K, Jinnin M, Mimura Y, Tamaki K. Increased expression of integrin alpha(v)beta3 contributes to the establishment of autocrine TGF-beta signaling in scleroderma fibroblasts J Immunol 2005; 175: 7708-18. Asano Y, Ihn H, Yamane K, Jinnin M, Mimura Y, Tamaki K. Involvement of alphavbeta5 integrin-mediated activation of latent transforming growth factor beta1 in autocrine transforming growth factor beta signaling in systemic sclerosis fibroblasts Arthritis Rheum 2005; 52: 2897-905. Asano Y, Ihn H, Yamane K, Jinnin M, Tamaki K. Increased expression of integrin alphavbeta5 induces the myofibroblastic differentiation of dermal fibroblasts Am J Pathol 2006; 168: 499-510. Munger JS, Huang X, Kawakatsu H, et al. The integrin alpha v beta 6 binds and activates latent TGF beta 1: a mechanism for regulating pulmonary inflammation and fibrosis Cell 1999; 96: 319-28. Wipff PJ, Rifkin DB, Meister JJ, Hinz B. Myofibroblast contraction activates TGFβ1 from the extracellular matrix J Cell Biol 2007; 179: 1311-23. Turner CE. Paxillin and focal adhesion signaling Nat Cell Biol 2000; 2: E231-6. Ishibe S, Joly D, Liu ZX, Cantley LG. Paxillin serves as an ERK-regulated scaffold for coordinating FAK and Rac activation in epithelial morphogenesis Mol Cell 2004; 6: 257-67. Liu S, Shi-wen X, Kennedy L, et al. FAK is required for TGFb-induced JNK phosphorylation in fibroblasts: implications for acquisition of a matrix remodeling phenotype Mol Biol Cell 2007; 18: 2169-78. Shi-wen X, Parapuram SK, Pala D, et al. TGFb-induced a-smooth muscle actin expression and extracellular matrix contraction in fibroblasts requires TAK1 Arthritis Rheum 2009; 60: 234-41. Liu S, Kapoor M, Shi-wen X, et al. nvestigation of the role of Rac1 in a bleomycin-induced scleroderma model using fibroblast-specific Rac1 knockout mice IArthritis Rheum 2008; 58: 2189-95. Liu S, Kapoor M, Leask A. Rac1 expression by fibroblasts is required for tissue repair in vivo Am J Pathol 2009; 174: 1847-56. Shi-wen X, Liu S, Sonnylal S, Denton CP, Abraham DJ, Leask A. Rac inhibition reverses the phenotype of fibrotic fibroblasts PLOS One 2009; 4: e7438. Conte E, Fruciano M, Fagone E, et al. Inhibition of PI3K prevents the proliferation and differentiation of human lung fibroblasts into myofibroblasts: the role of class I P110 isoforms PLoS One 2011; 6: e24663. Parapuram SK, Shi-wen X, Elliott C, et al. Loss of PTEN expression by dermal fibroblasts causes skin fibrosis J Invest Dermatol 2011; 131: 1996-2003. Prekeris R, Hernandez RM, Mayhew MW, White MK, Terrian DM. Molecular analysis of the interactions between protein kinase C-epsilon and filamentous actin J Biol Chem 1998; 273: 26790-8. Leask A, Shi-wen X, Chen Y, et al. Protein kinase C e is required for cutaneous wound closure and myofibroblast formation J Cell Sci 2008; 121: 3459-67. Edderkaoui M, Nitsche C, Zheng L, Pandol SJ, Gukovsky I, Gukovskaya AS. NADPH oxidase activation in pancreatic cancer cells is mediated through Akt-dependent up-regulation of p22phox J Biol Chem 2011; 286: 7779-87. Clozel M, Salloukh H. Role of endothelin in fibrosis and antifibrotic potential of bosentan Ann Med 2005; 37: 2-12. Shi-Wen X, Chen Y, Denton CP, et al. Endothelin-1 promotes myofibroblast induction through the ETA receptor via a rac/phosphoinositide 3-kinase/Akt-dependent pathway and is essential for the enhanced contractile phenotype of fibrotic fibroblasts Mol Biol Cell 2004; 15: 2707-19. Shi-wen X, Kennedy L, Renzoni E, et al. Endothelin-1 is a downstream mediator of TGFb in fibroblasts Arthritis Rheum 2007; 56: 4189-94. Shephard P, Hinz B, Smola-Hess S, Meister JJ, Krieg T, Smola H. Dissecting the roles of endothelin, TGF-beta and GM-CSF on myofibroblast differentiation by keratinocytes Thromb Haemost 2004; 92: 262-74. Guo F, Carter DE, Leask A. Mechanical tension increases CCN2/CTGF expression and proliferation in gingival fibroblasts via a TGFβ-dependent mechanism PLoS One 2011; 6: e19756. Bellisai F, Morozzi G, Scaccia F, et al. Evaluation of the effect of Bosentan treatment on proinflammatory cytokine serum levels in patients affected by Systemic Sclerosis Int J Immunopathol Pharmacol 2011; 24: 261-4. Giordano N, Puccetti L, Papakostas P, et al. Bosentan treatment for Raynauds phenomenon and skin fibrosis in patients with Systemic Sclerosis and pulmonary arterial hypertension: an open-label, observational, retrospective study Int J Immunopathol Pharmacol 2010; 23: 1185-94. Seibold JR, Denton CP, Furst DE, et al. Randomized, prospective, placebo-controlled trial of bosentan in interstitial lung disease secondary to systemic sclerosis Arthritis Rheum 2010; 62: 2101-8. Bonner JC. Regulation of PDGF and its receptors in fibrotic diseases Cytokine Growth Factor Rev 2004; 15: 255-73. Heldin CH, Westermark B. Mechanism of action and in vivo role of platelet-derived growth factor Physiol Rev 1999; 79: 1283-316. Rhee S, Grinnell F. P21-activated kinase 1: convergence point in PDGF- and LPA-stimulated collagen matrix contraction by human fibroblasts J Cell Biol 2006; 172: 423-32. Jinnin M, Ihn H, Mimura Y, Asano Y, Yamane K, Tamaki K. Regulation of fibrogenic/fibrolytic genes by platelet-derived growth factor C, a novel growth factor, in human dermal fibroblasts J Cell Physiol 2005; 202: 510-7. Borkham-Kamphorst E, Herrmann J, Stoll D, Treptau J, Gressner AM, Weiskirchen R. Dominant-negative soluble PDGF-beta receptor inhibits hepatic stellate cell activation and attenuates liver fibrosis Lab Invest 2004; 84: 766-7. Chen YT, Chang FC, Wu CF, et al. Platelet-derived growth factor receptor signaling activates pericyte-myofibroblast transition in obstructive and post-ischemic kidney fibrosis Kidney Int 2011; 80: 1170-81. Rajkumar VS, Sundberg C, Abraham DJ, Rubin K, Black CM. Activation of microvascular pericytes in autoimmune Raynaud's phenomenon and systemic sclerosis Arthritis Rheum 1999; 42: 930-41. Kapoor M, Liu S, Huh K, Parapuram S, Kennedy L, Leask A. Connective tissue growth factor promoter activity in normal and wounded skin Fibrogenesis Tissue Repair 2008; 1: 3. Rajkumar VS, Shiwen X, Bostrom M, et al. Platelet-derived growth factor-beta receptor activation is essential for fibroblast and pericyte recruitment during cutaneous wound healing Am J Pathol 2006; 169: 2254-65. Akhmetshina A, Dees C, Pileckyte M, et al. Dual inhibition of c-abl and PDGF receptor signaling by dasatinib and nilotinib for the treatment of dermal fibrosis FASEB J 2008; 22: 2214-. Daniels CE, Wilkes MC, Edens M, et al. Imatinib mesylate inhibits the profibrogenic activity of TGF-beta and prevents bleomycin-mediated lung fibrosis J Clin Invest 2004; 114: 1308-6. Wang S, Wilkes MC, Leof EB, Hirschberg R. Imatinib mesylate blocks a non-Smad TGF-beta pathway and reduces renal fibrogenesis in vivo FASEB J 2005; 19: 1-11. Li Z, Jimenez SA. Protein kinase Cδ and c-Abl kinase are required for transforming growth factor β induction of endothelialmesenchymal transition in vitro Arthritis Rheum 2011; 63: 2473-83. Spiera RF, Gordon JK, Mersten JN, et al. Imatinib mesylate (Gleevec) in the treatment of diffuse cutaneous systemic sclerosis: results of a 1-year, phase IIa, single-arm, open-label clinical trial Ann Rheum Dis 2011; 70: 1003-9. Pope J, McBain D, Petrlich L, et al. 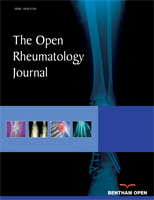 Imatinib in active diffuse systemic sclerosis: a single site trial Arthritis Rheum 2011; 63: 3547-51. Dziadzio M, Usinger W, Leask A. N-terminal connective tissue growth factor is a marker of the fibrotic phenotype in scleroderma QJM 2005; 98: 485-92. Leask A. Transcriptional profiling of the scleroderma fibroblast reveals a potential role for connective tissue growth factor (CTGF) in pathological fibrosis Keio J Med 2004; 53: 74-. Igarashi A, Nashiro K, Kikuchi K, et al. Significant correlation between connective tissue growth factor gene expression and skin sclerosis in tissue sections from patients with systemic sclerosis J Invest Dermatol 1995; 105: 280-4. Shi-wen X, Pennington D, Holmes A, et al. Autocrine overexpression of CTGF maintains fibrosis: RDA analysis of fibrosis genes in systemic sclerosis Exp Cell Res 2000; 259: 213-4. Leask A, Abraham DJ. All in the CCN family J Cell Sci 2006; 119: 4803-10. Lau LF, Lam SC. The CCN family of angiogenic regulators: the integrin connection Exp Cell Res 1999; 248: 44-57. Wahab NA, Weston BS, Mason RM. Connective tissue growth factor CCN2 interacts with and activates the tyrosine kinase receptor TrkA J Am Soc Nephrol 2005; 16: 340-51. Leask A, Holmes A, Black CM, Abraham DJ. Connective tissue growth factor gene regulation. Requirements for its induction by transforming growth factor-beta 2 in fibroblasts J Biol Chem 2003; 278: 13008-5. Xu SW, Howat SL, Renzoni EA, et al. Endothelin-1 induces expression of matrix-associated genes in lung fibroblasts through MEK/ERK J Biol Chem 2004; 279: 23098-103. Shi-wen X, Stanton L, Kennedy L, et al. CCN2 is necessary for adhesive responses to TGFß1 in embryonic fibroblasts J Biol Chem 2006; 281: 10715-26. Holmes A, Abraham DJ, Chen Y, et al. Constitutive connective tissue growth factor expression in scleroderma fibroblasts is dependent on Sp1 J Biol Chem 2003; 278: 41728-33. Ponticos M, Holmes AM, Shiwen X, et al. Pivotal role of connective tissue growth factor in lung fibrosis: MAPK-dependent transcriptional activation of type I collagen Arthritis Rheum 2009; 60: 2142-55. Liu S, Shi-wen X, Abraham DJ, Leask A. CCN2 is required for bleomycin-induced skin fibrosis in mice Arthritis Rheum 2011; 63: 239-46. Sonnylal S, Shi-Wen X, Leoni P, et al. Selective expression of connective tissue growth factor in fibroblasts in vivo promotes systemic tissue fibrosis Arthritis Rheum 2010; 62: 1523-32. Bonniaud P, Martin G, Margetts PJ, et al. Connective tissue growth factor is crucial to inducing a profibrotic environment in "fibrosis-resistant" BALB/c mouse lungs Am J Respir Cell Mol Biol 2004; 31: 510-6. Mori T, Kawara S, Shinozaki M, et al. Role and interaction of connective tissue growth factor with transforming growth factorbeta in persistent fibrosis: A mouse fibrosis model J Cell Physiol 1999; 181: 153-9. Mori Y, Hinchcliff M, Wu M, Warner-Blankenship M, M Lyons K, Varga J. Connective tissue growth factor/CCN2-null mouse embryonic fibroblasts retain intact transforming growth factor-beta responsiveness Exp Cell Res 2008; 314: 1094-4. Abreu JG, Ketpura NI, Reversade B, De Robertis EM. Connective-tissue growth factor (CTGF) modulates cell signalling by BMP and TGF-beta Nat Cell Biol 2002; 4: 599-604. Nakerakanti SS, Bujor AM, Trojanowska M. CCN2 is required for the TGF-β induced activation of Smad1-Erk1/2 signaling network PLoS One 2011; 6: e21911.